Alexander Ross is currently a 1st-year Master’s student in the Communication and Culture program at York and Ryerson Universities in Toronto. His research interests include game studies, ephemeral culture, and political economy. It seems impossible to discuss the history of videogames without considering Japan. Specific events, like Namco’s development of Pac-Man — the most successful arcade game of all time — or Nintendo’s revival of the North American game console business with the release of its Nintendo Entertainment System (NES) in the mid-1980s, have become celebrated milestones in the story of Japan’s role in videogames. This has led to the false idea that an essential quality found only in Japanese games is responsible for their success or failure. Engaging in a highly productive critical intervention into this erroneous concept is Mia Consalvo’s Atari to Zelda: Japan’s Videogames in Global Contexts. She interrogates essentialist ideas about Japanese videogames, arguing that fan activity, localization practices, and widespread changes in the global games industry have affected how Japanese videogames have been made, sold, and interpreted in North America and Europe. In the process, Consalvo opens up new ways to think about and critically analyze videogames and the games industry. In the introduction, Consalvo sets up the book’s areas of critical inquiry. Consalvo argues that although there have been significant artistic, social, cultural, and economic connections between Japan, North America, and Europe since the 1600s, there is a tendency — especially when studying Japanese videogames — to assume that such connections are quite recent and to make unproductive claims about the essential “Japaneseness” of certain games (5-10). Japaneseness is the term Consalvo uses to describe specific Japanese cultural signifiers that appear in games made in Japan, signalling their place of origin (4). Depending on how much a game has been localized for the Western market, these instances of Japaneseness can be extremely subtle, such as the way department stores in the Pokémon series appear similar to those in Japan, or more obvious, like Square Enix using Tokyo’s Shibuya shopping district as the setting of its Nintendo DS game The World Ends With You (31). The book is broken up into eight chapters, the first seven of which investigate a different aspect of Japanese games and their reception, development, marketing, and influence in North America and Europe. The opening chapters focus on different fan activities surrounding Japanese games. Consalvo first interviews fans of Japanese games, whose level of interest ranges from those merely playing these games to those developing a deeper interest in Japanese culture. She then profiles online communities who hack and translate Japanese games never officially released in the West. The remaining chapters put a greater focus on the industry. These include her reflections on playing specific Japanese games like Fire Emblem: Awakening and Ni No Kuni: Wrath of the White Witch; a critical discussion of the global reach of publisher Square Enix; a comparison of different approaches to localizing Japanese videogames; a look at how Japanese game developers like Capcom and Level-5 have remained profitable and relevant on different consoles; and finally explicating the diffuse lines of influence Japanese games have had on Western game developers. Although called Atari to Zelda, the book is actually a series of critical essays and studies rather than a literal A to Z comprehensive treatment of its subject matter. This is partly because several of the chapters were previously published separately as academic articles. As she emphasizes in the introduction, her book is not intended to “create a new history for Japanese games and Western interest in them,” but to question how we think about cultural influence and exchange (5). Consalvo chooses to focus on specific themes, like how processes of globalization and digital distribution are changing how Japanese games are localized, sold, and played. Consalvo’s book does not concern itself with categorizing certain games as being more or less authentically Japanese. She draws on ideas and studies outside of or adjacent to games studies to facilitate her critical interrogation of the concept of Japaneseness. Consalvo uses the concept of cosmopolitanism to study fan cultures and communities built around Japanese videogames. To frame her discussion of cosmopolitanism she cites Skrbis, Kendall, and Woodward, who argue that “cosmopolitanism — as subjective outlook, attitude, or practice — is associated with a conscious openness to the world and to cultural differences” (20). Similar to her exploration of Japaneseness, Consalvo wants to move beyond rigid definitions and uncover the individual ways the communities she profiles enact different forms of cosmopolitanism in their appreciation of Japanese videogames. This framework allows her to view the way these videogames “signal Japaneseness” as quite diffuse and idiosyncratic among the select group of informants she interviews in the first chapter (216). She also demonstrates the crucial role fan translators and ROM hackers have played in preserving and interpreting videogame history, especially in translating and circulating videogames that Japanese videogame companies have deemed too culturally specific to release outside of their home country (42, 64). Her discussion of localization, drawing from Mark Peterson’s concept of the “culture broker,” is quite nuanced and interesting (103). Localization is the process by which a videogame from another country is not only translated, but whose cultural allusions are often changed, or at least made more explicable to audiences who are not from the game’s originating country. She argues successfully that Japanese videogame companies must work with “culture brokers,” who reduce the level of “noise” between a game’s intended audience and specific cultural signifiers (103-104). Consalvo does a good job of explicating the role of the culture broker in ensuring that a translated Japanese game communicates more than just bare plot points, so that it captures the mood, drama, or humour of the original script. One of her key examples is the Japanese visual novel games Phoenix Wright: Ace Attorney (known as Gyakuten Saiban in Japan), which rely on puns and clever wordplay for much of its humour, thus requiring skilled localizers to develop novel strategies for getting this humour across to the player, whether this means changing character names or culturally specific jokes (126-129). While it’s true that Square Enix has seen global success with its Final Fantasy and Kingdom Hearts franchises, does this mean that Square Enix actually possesses a “cosmopolitan disposition” —the desire to seek out other cultures and grow its “self-knowledge” and understanding (105-106)? Bringing individual and corporate practices together risks making Consalvo’s nuanced exploration of cosmopolitanism overly simplistic. She argues successfully in the first two chapters that there is a spectrum of cosmopolitan activity that surrounds the appreciation of Japanese games: some just play Japanese games, some learn Japanese, some travel to or work in Japan, and some even try their hand at translating unreleased Japanese games. In the end, these are all voluntary activities that one can choose to do or not do in one’s daily life, and are generally not defined by economic interest. There’s also the further point that many fan translators and ROM hackers do their work for free, and generally in defiance of intellectual property laws. Multinational game corporations have a greater need to expand their brands to remain competitive in the global marketplace.Consalvo acknowledges this need: “Square Enix would probably not describe itself as an instance of corporate cosmopolitanism, even if it is intensely interested in globalization and in appealing to multiple markets and audiences” (110). There is a significant difference between what a person does for themselves to increase their own cultural and global awareness, and what a corporation does to enhance its reach and market share. Consalvo’s attempt to bring together individual and corporate practices of cosmopolitanism communicates a fundamental tension that exists in game studies — that videogames are both intriguing cultural artifacts and highly successful global commodities. Games continue to grow and evolve as a creative practice, not only within the mainstream industry, but in amateur and independent game development communities. However, games are also big business: videogames generated $91 billion in revenue last year, with almost half of this total coming from mobile games (SuperData Research). This economic prosperity can set up oppositional binaries between games as art and games as business. Consalvo tries to bridge this divide between games as a creative and corporate practice by conceptualizing Square Enix as an individual author of games (181). If they are an author of videogames, the argument goes, then they should also be able develop the same level of awareness and experience as individuals who choose to move outside of their own cultural comfort zones. Consalvo wants us to view videogame companies as more than just an “amalgam of marketing strategies and business plans” (181). While it’s important to critically explore how the actual business of videogames continually shapes game development, reception, and conceptualization as an artform, I do not agree that by expanding into global markets a company has necessarily decided to “learn about the other, take risks, and be transformed in the process” (120). This is an oversimplification of what Consalvo initially reveals to be a complex phenomenon: the subtle and singular ways different people experience global society in their daily lives. Although a company like Square Enix knows how to make itself explicable to other cultures, it does not necessarily follow that it has a deep, abiding interest in them. Atari to Zelda should be read by game studies scholars who wish to expand their areas of inquiry and develop a better understanding how games fare in different global settings and contexts. Instead of reifying industry narratives about what platforms are or are not “viable”, we should look at the historical, material, social, and economic conditions that continue to effect videogame development. Also, there are some areas of gaming that remain criminally overlooked — for example, handheld videogame consoles (i.e. Game Boy, Nintendo 3DS, PlayStation Vita) and handheld games. Consalvo briefly discusses the continued success and relevance of handheld consoles in Japan (158). Unfortunately, handhelds are often treated as the “also-rans” of their much larger cousins, the dedicated home videogame console, despite having a major effect on the way people have played and thought about videogames. There’s also the challenge for scholars in game studies who are continually working through videogames as both artifact and commodity. For game studies to grow, it must, like Consalvo does, incorporate and use different theoretical positions, like cosmopolitanism, or even look to other disciplines like anime studies, to develop a much more nuanced understanding of the games industry, game development, and the histories that surround them. Consalvo, Mia. 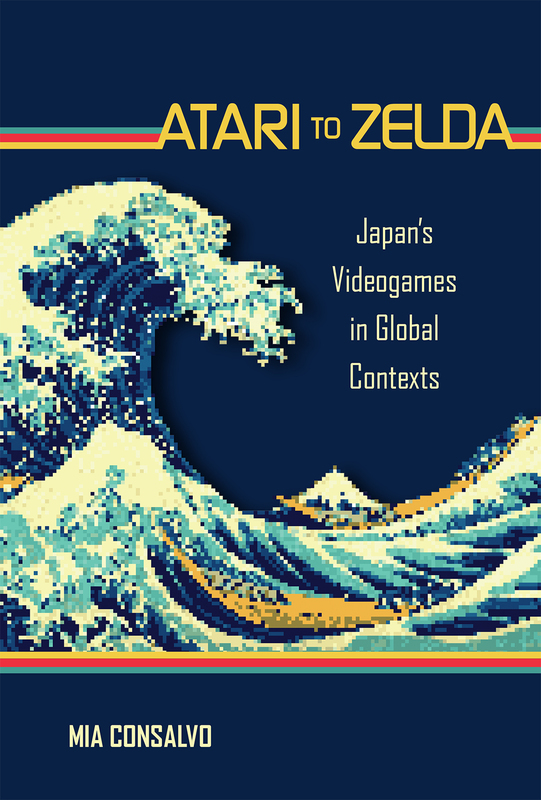 Atari to Zelda: Japan’s Videogames in Global Context. Cambridge: The MIT Press, 2016. Print. “Market Brief — Year In Review 2016”. SuperData Research. SuperData LLC, 21 Dec 2016. Web.